Together we can reach the world for Christ ! 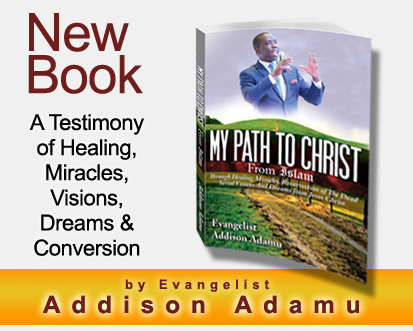 I sincerely want to say thank you for your desire and obedience to make a donation today to support Addison Adamu Healing Ministries and Gospel Net International in order to spread the healing and Salvation Gospel of our precious Lord and Savior Jesus Christ. We will be able to reach all people groups, tribes, and cultures in every continent around the world on radio, television, internet, healing miracle services and crusades. We are living in the end times and the Gospel of Jesus Christ is needed more than ever in the darkest and remote areas of the world today, even in America and many other advanced countries. Jesus said, "And this Gospel of the Kingdom will be preached in the whole world as a testimony to all nations, and then the end will come" Matthew 24:14 NIV. The healing Gospel of Jesus Christ is for all. It is for free, and will forever remain free but it is not free to spread the Gospel to every nation on radio, television or healing crusades. It is very expensive and requires a huge budget annually to spread the free Gospel of hope, peace, healing and Salvation to this dying world. Human souls are priceless. No amount of money can buy a single one, not even trillions of dollars. 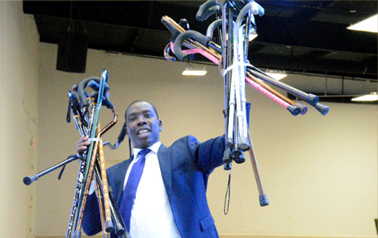 Your one time or monthly donations will help us win millions of souls for the kingdom of God on a weekly basis around the world through radio, television, internet, church services, missions and healing crusades. When Jesus called me from Islam to Christianity, I was taken to heaven and He commissioned me to take His healing and Salvation Gospel of the Kingdom to the entire world. I have never looked back since. 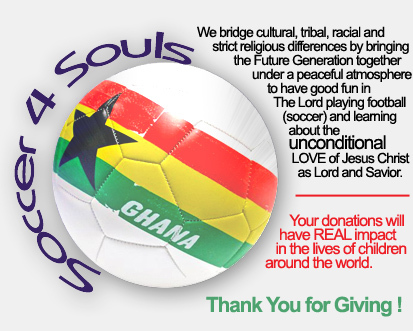 I have made a lot of sacrifices in the midst of adversity, persecution, hunger, rejection and poverty while in Ghana but I persevered and I trusted God for divine provision for the vision given me to touch the nations long before I was brought to Bible College in America. Thank you again for your partnership and sowing into this anointing. Together we will make a huge difference for the Kingdom of God. May God bless you beyond measure!